Tarrant Hightopp. . HD Wallpaper and background images in the Alice im Wunderland (2010) club tagged: alice johnny depp tim burton tim burton's alice in wonderland. This One ROCKSSSSSS .... !!!!! 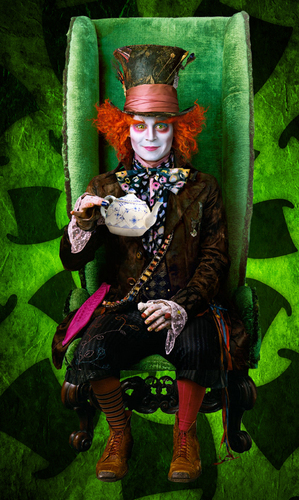 yeah I know the Hatter is one of Johnny Depps craziest looking characters, but I think he is just so darn cute.